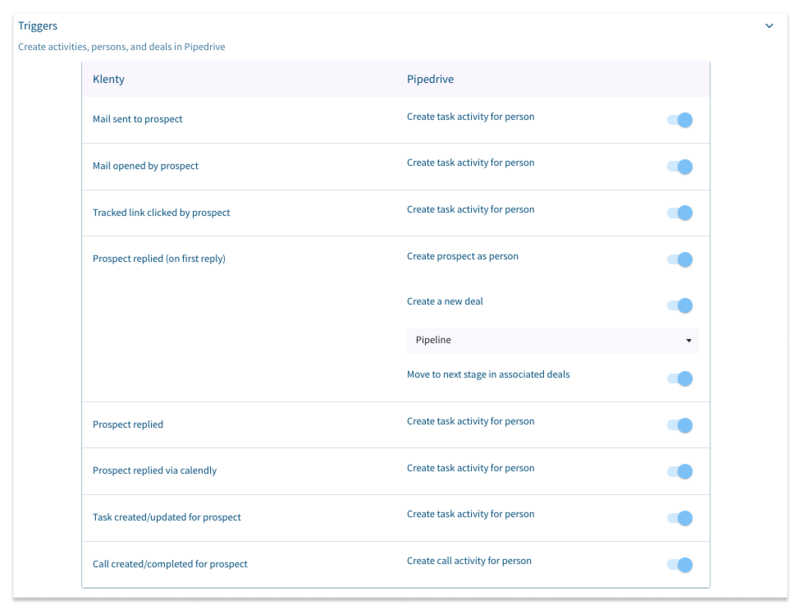 Use Triggers to automatically create tasks, persons, deals and move deal stages in Pipedrive based on activity in Klenty. To set up triggers in Klenty, go to Settings -> Integration -> Pipedrive. 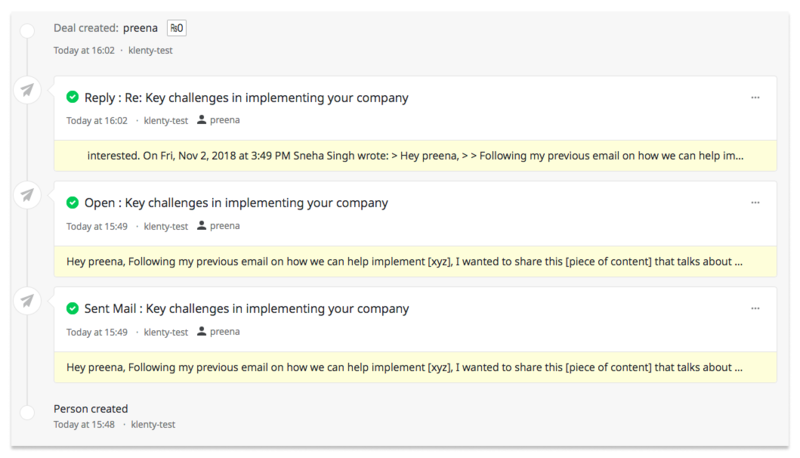 You can select multiple actions (like create a person in Pipedrive and assign a task) for each trigger. The triggers would display in the following manner in Pipedrive.